When her dad suddenly passed away, Helen, then 29, bought a ‘bike shaped object’ from Halford’s. Little over a year later, she did her first sprint triathlon, and in the years that followed, took part in races every year, finally attempting a full iron distance race this summer. Unfortunately – Helen was a ‘Did Not Finish’ at the race last month in Nottingham. 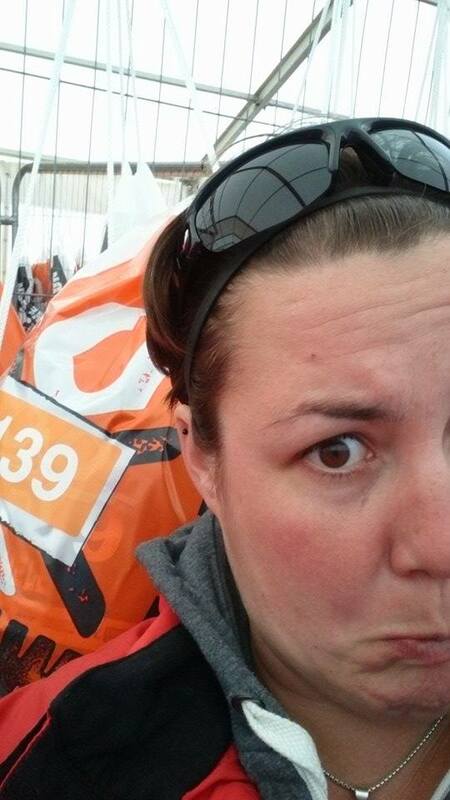 This is her story, on how it feels to DNF, and her plans to conquer the distance next year. It wasn’t long after Helen broke the news of bagging the job, that her husband had secured himself a place at the Outlaw through Cancer Research. “Right then – I’ve got to do this now.” She thought. “Naively, again, I thought I could manage an intense new job and training. I may be slow, but I can be slow for a really long time. I’ve done a few half marathons, a half Ironman and various Olympic distance triathlons, including some quite brutal races involving swimming in lakes and ‘running’ up mountains! Hand on heart though, I’d only loosely followed the ‘just finish’ plan by the time to Outlaw weekend rolled around last month. I’d only actually stuck to the bike training properly. Swimming? What swimming! Running? Ok occasionally… but nowhere near the distance. The swim was absolutely fine. I’m lucky because I’ve always been a swimmer and I can just plod on. During the swim, I crashed into a buoy, and another swimmer crashed into me and knocked off my goggles resulting in some swearing, but despite that, I finished in 1hr 43mins. The support from the crowd on the bike was amazing, and I was pleased to be on dry land. The absolute highlight of the day was going through the Pirates feed station and getting a high five, then seeing my Mam at the next turn. I made a mistake at feed station 2 by not going to the loo. I’m not sure why I thought I could cycle 50 miles and drink 3.5 bottles of high 5 without peeing! When I got to feed station 3 I found some sweet relief. That was not however my biggest mistake. Saving my legs for later on the bike was. At exactly 12pm a marshal on a motorbike pulled me over and told me in no uncertain terms that I was out of the race because I wasn’t going to make the cut off time for the bike, and I had to cycle back to the start. So the marshal got his map out and told me the fastest way back. I was pretty much as far away from race HQ as possible. I was fine, but in a state of shock and utter disappointment. I cycled all the way back, even when I was offered a lift by a nice marshal that I stopped to ask for directions. I must have done around 80 miles in total that day, averaging around 12mph after being withdrawn, whilst unashamedly sobbing. Quite a few people saw me cry that day, but because they were lovely and often Piratey, they also gave me hugs. On reflection I’m glad I didn’t accept the lift but instead faced the humiliation of people shouting ‘go on pirate’ when in fact it had all gone pear shaped. Good mental training for next year. Afterwards I couldn’t stop crying. I was gutted. I cycled up to our tent and put my bike inside. My first thought was to open a San Miguel right there and neck it, but my husband was still in the race, so that wasn’t an option. I put some dry clothes on and went back to the end of the bike course. I had a bit of a hard time trying to shake this one off. The next two weeks were an emotional rollercoaster, but I’m at peace with what happened. Turns out that that marshal actually didn’t have permission to withdraw me at that point! But I’m not wasting any more negative emotion on this now. 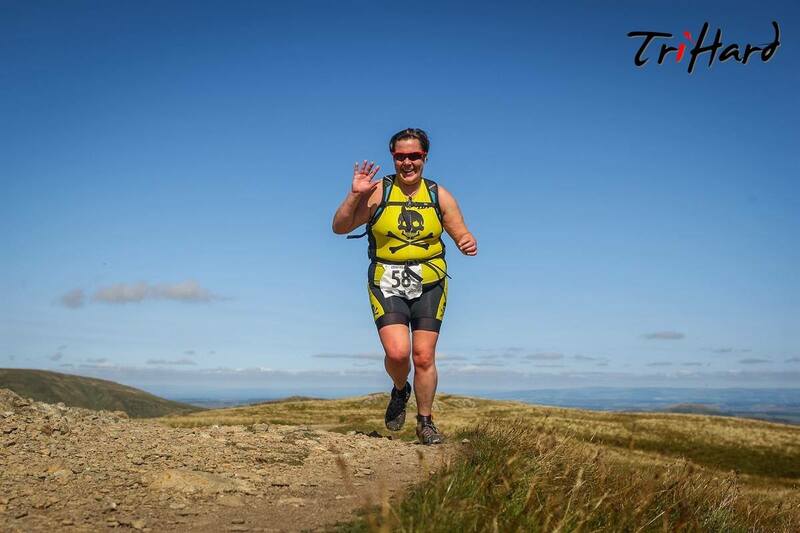 Helen has Helvellyn – a tough hilly Olympic Distance triathlon later this month and has plans to go on to start a 30-week intermediate Iron distance programme in November, ready for her second attempt at an iron distance next year.